seek a breakthrough in the case involving the abduction of Alpha United goalkeeper, Ronson Williams and carpenter Carlos Anderson. Investigators are hoping that the businessman, who owns a wharf at Parika, can provide them with some tangible information about the men’s fate. He was detained last week, shortly after police indicated that they were dealing with a case of abduction. 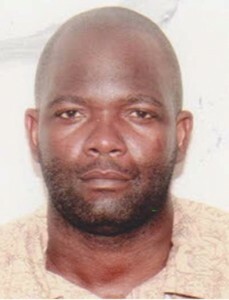 They had also issued a bulletin for 41-year-old Gary Mervin Primo, called ‘Gary Talkout’, in relation to the abduction of Williams and Anderson. There are reports that Primo is overseas. Last week, Crime Chief Wendell Blanhum, said that the investigation was “at a critical stage.” However, police officials have declined to provide a motive for the men’s abduction or their possible fate. Williams, 28, and Anderson, 20, disappeared on September 10, 2015, after entering a silver-grey car in Bent Street, Georgetown. They had informed relatives that they were heading to a football match. Williams’ mother, Desiree Carter, said that her son came to her Bent Street home that evening and collected two pairs of pants and a jersey. He also indicated that he was going to a girlfriend in Sophia before heading to the football match. Carter said that she reported the matter to the police since September 15, last, while Carmelita Pestano Anderson, the mother of Carlos Anderson, reported the matter on September 13 at the Alberttown Police Station. The family is offering a reward for any credible information pertaining to the disappearance of these two youths. Contact numbers are 592-678-1907 or 592-697-7738.